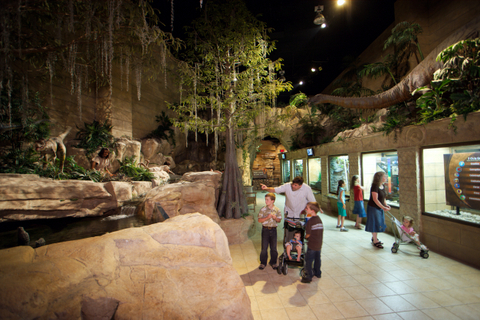 Collectively, more than 800,000 guests will visit three of America’s leading tourist destinations in 2014: suburban Cincinnati’s Creation Museum; the Sight & Sound Theatres in Branson, Missouri; and Focus on the Family in Colorado Springs, Colorado. These facilities cost millions to build and employ more than 1,000 people. Yet behind their entertaining attractions and activities lie eternal purposes. Their serious ministry makes a trip there worthy of preparation, including Bible study and prayer — before and during the experience. Why? Because beyond the crowds and media spotlight that often shine on these facilities, guests (and sometimes staff) make decisions that affect eternity. 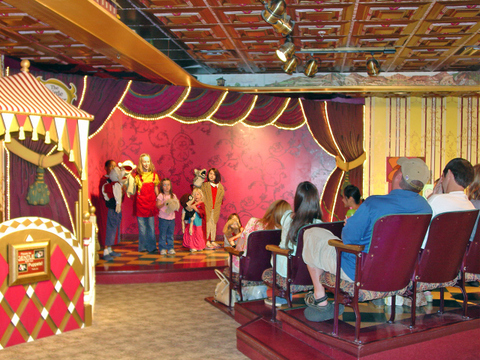 Last year in one night, a cast member at Sight & Sound’s original location in Strasburg, Pennsylvania, led five children in conversion prayers. 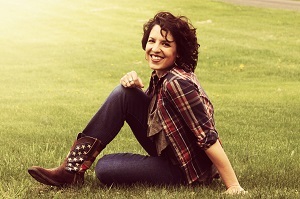 Kim Miller, the ministry coordinator for both facilities, often learns about such activities through cast and crew members’ daily journal entries. Although they don’t tally conversions, all hear of similar encounters, along with answered prayers and stories of skeptics re-examining their beliefs. Ironically, many of these visitors come expecting nothing more than a good time. For example, in its first six months nearly 6,000 people rode the Creation Museum’s zipline that opened last June. More than 95 percent exercised the discounted museum admission option offered with a zipline ticket. That exposed many to the truth that, just as described in Genesis, God created the earth and that all of God’s Word is true. “People who would never think of coming to a creation museum might be willing to come for the thrill of riding a zipline,” says co-founder Mark Looy, chief communications officer for Answers in Genesis (AIG). Founded in 1994, the ministry opened the museum in 2007. Some of the two million guests who have visited so far did so intending to mock the viewpoints expressed inside the 75,000-square-foot, $27 million facility. On one occasion 285 atheists broke away from a conference in Ohio to tour the museum. One man stopped to say that they had given him much food for thought. The ministry fueled by the museum extends far beyond its walls. 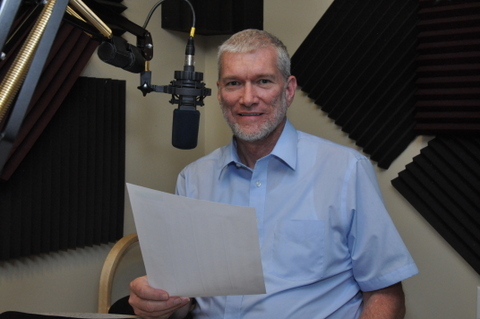 Founder Ken Ham does daily 60-second radio spots that air on more than 700 stations, while each year AiG staff presents about 300 creation seminars around the world. The ministry took an even higher profile in February when Ken debated a leading science educator (see sidebar) at the museum, with the event streamed over the Internet and available now on DVD. Despite the increased attention of late, one of Mark’s favorite stories concerns a quiet moment in the parking lot. It involved a family who had raised their elementary-age daughter in church. Yet, she still had questions, such as why God allows suffering. After finding answers in the museum’s presentations, she prayed with her parents in the museum parking lot to receive Christ as Savior. Ken Ham, founder of Answers in Genesis, took advantage of a golden opportunity to present the truth of biblical creation when he debated science educator Bill Nye before a packed Creation Museum auditorium in February. Within 24 hours of AiG revealing Ken’s debate with the “Science Guy” — whose 1990s programs still air on some TV stations — co-founder Mark Looy wore out his voice fielding media calls. Within two days, web site traffic shot up 67 percent. Of course, with this spotlight comes ample ridicule, something that stalks anyone who questions the idea of evolution and insists that God created the earth in a 24-hour, six-day span of time. No matter how much criticism comes its way, though, AiG is used to controversy. After all, it weathered intense opposition before the ministry even broke ground on the museum. Over several years in the late 1990s, a collection of atheists, humanists and others opposed everything from the museum’s rezoning application to the design of its building and infrastructure. Eventually, a group of property owners filed a lawsuit against the county governing authorities who approved AiG’s rezoning. Not only did the ministry prevail, Mark says the battle proved to be a blessing. Opponents didn’t quit, though. The day the museum opened in May of 2007, about 75 protestors gathered at a rally across the road organized by the state director of American Atheists. During its first two decades of presenting biblically based stage productions in eastern Pennsylvania, Sight & Sound Theatres received a slew of requests to consider expanding to other areas. Not an easy task, considering that from initial concept to stage, a production requires three years and a $3 million budget. Finally, in 2008 the Christian-owned company chose the popular destination in southern Missouri for its second location. A leading factor: Branson’s strong stage presence, including 50 theatres, 100 live shows and 61,000 seats. 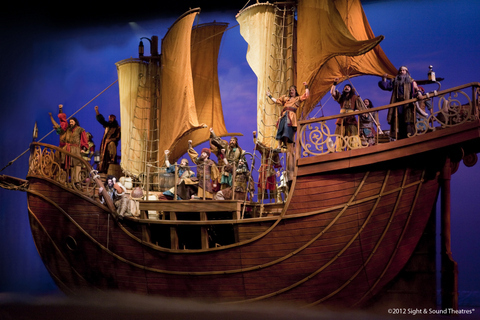 For its seventh season in Branson, a cast and crew of approximately 110 will present Jonah, seen by more than 800,000 people during its 2012 run in Strasburg. The play opened in late March. Kim Miller says Jonah is more than a familiar Bible story. She believes it will attract believers and non-believers alike with its elaborate sets, colorful costumes, professional acting and underlying questions. Those comments reflect the theatre’s mission statement and its central theme of presenting the gospel by dramatizing Scripture. The daughter of founder Glenn Eshelman, Kim says her father saw long ago that the best way to present biblical truth was through stories as old as the Bible, yet in a way modern audiences could understand. Even the ministry coordinator gets excited about digging into those foundations. Before the early March premiere of Moses in Strasburg, Kim studied the Old Testament account of Moses’ life to get a deeper appreciation for his story. She suggests people headed for Branson do the same with the book of Jonah, reading it so they can better grasp the dramatization. Each production will include a post-show presentation, when a cast or crew member delivers a brief explanation of the gospel and gives audience members a chance to respond. In the past, people too shy to respond publicly later sent notes about receiving Jesus as Savior at home or while driving home with a family member. Four years have passed since founder Dr. James Dobson stepped down as chairman of Focus on the Family, which he started in Southern California in 1977 before later relocating to Colorado Springs, Colorado. Much has changed about the ministry, which at 600 employees is less than half of its peak size. And though he shares many of Dobson’s views, eventual successor Jim Daly is known for a more relaxed stance in dealing with opposing groups. A constant in the midst of downsizing is the popularity of Focus’ Welcome Center, which has seen more than four million visitors since it opened 20 years ago. Guided tours are at 10 a.m. and 2 p.m. during the week, with self-guided tours of the Welcome Center possible throughout the day. Among the most popular attractions are the Kids Korner and its three-story, enclosed spiral slide, which includes height restrictions to ensure only children take the plunge. Then there is the bookstore, Whit’s End Soda Shoppe, a 170-seat theater featuring films like The Last Chance Detectives, the G. Harvey Art Gallery and the Solid Grounds free coffee bar. Its free birthday party rooms hosted more than 300 parties last year. While the majority of guests may be Christians, the tour guides, and the Welcome Center and Bookstore staffs have opportunities to pray with children and adults. Recently two off-duty police officers contracted to provide security at Focus prayed to receive Christ with a member of the guest relations staff. Ironically, more ministry occurs outside the building, thanks to Focus’ flagship radio program, telephone counseling lines and multi-faceted Internet and other outreaches. In addition to saving 130,000 marriages and strengthening six times as many, in 2013 the ministry helped 440 people a day to commit or recommit their lives to Christ, including 80 children (a 60 percent increase over 2012). Radio program co-host John Fuller says while many evangelicals know of Focus on the Family, the ministry seeks to address all families about thriving in everyday life. “In recent years we have especially stressed the reality that nobody is perfect — that life together can be hard,” John says. “However, God’s design for marriage and parenting is to cause us to be more like Jesus. You might add that those who visit these attractions with others in mind will make better tourists, too. Ken Walker is a freelance writer and editor from Huntington, West Virginia. He has written more than 3,500 magazines, newspaper and web site articles during his career — several of them award winning. He has co-authored, edited or contributed to nearly three dozen books and devotionals.